They epitomized individualism. They didn’t belong to any ‘school’. Their styles were indefinable. Today, they are among their respective countries’ most famous and respected artists. 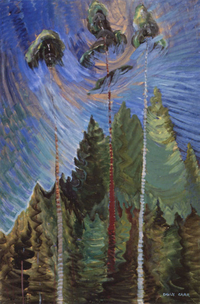 They are Emily Carr, Georgia O’Keeffe and Frida Kahlo, three extraordinary artists who, while appearing to have little in common, shared a singleness of spirit and a fascination with the themes of nature, culture and self. Their work reinvented traditional imagery relating to the natural landscape, and conveys the sense of the landscape as female, from Carr’s symbolic forests, to O’Keeffe’s anthropomorphic plant forms and Kahlo’s earth-mother self portraits. They also interpreted and expressed the characters of their regions, defining, for the period, a distinct Canadian, American and Mexican experience. Collectively, their work played a critical role in defining the art of the Americas by linking region and nationality. 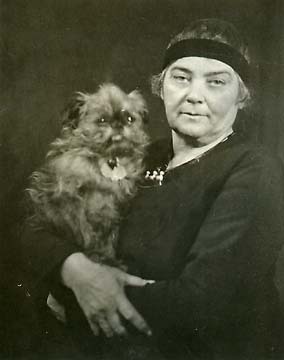 Emily Carr (1871-1945) was born in Victoria, studied in Europe, then returned to British Columbia and spent four years on Haida Gwaii (the Queen Charlotte Islands), the Skeena River and the islands off northern Vancouver Island, sketching and painting carvings, and recording the lives and rituals, of aboriginal Canadians. She depicted the region’s vast natural beauty, going beyond the presiding misty landscapes by creating a unique visual idiom. She was viewed as a rugged individualist—and scandalously unladylike. This could have contributed to the bust that was her 1913 Vancouver exhibition, after which she quit painting and opened a rooming house. It wasn’t until she was ‘discovered’ in 1927, that she resumed painting. 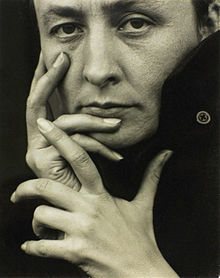 Today, she is one of the world’s most famous female artists. Frida Kahlo (1907-1954) taught herself to paint while recovering from a 1926 streetcar accident that left her permanently pain-ridden. This pain, and her endurance of 30 operations, led her to create 200 paintings, including many harsh self-portraits, marked by jarring colour and odd spatial relationships. They also chronicle her turbulent relationship with famed Mexican painter Diego Rivera, whom she married in 1929. At this time, ‘Mexicanidad’, the embrace of pre-Hispanic Mexican history and culture, gave great currency to the notion of native roots. At the same time, being seen as a primitive provided an avenue for recognition for women artists. 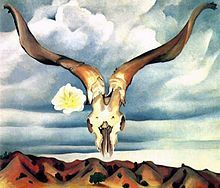 While they shared a devotion to communism and a passionate interest in Mexico’s indigenous cultures, the two moved in the most sophisticated circles, with Rivera extolling Kahlo’s work as authentic, unspoiled and primitive. He stressed her Indian heritage (she had Indian blood on her mother’s side, but was of Hungarian-Jewish descent on her father’s), and she encouraged the myth, in part by adopting traditional Mexican dress. Still, she didn’t achieve the recognition of her contemporaries—Rivera, Orozco, Siqueiros, and wasn’t ‘discovered’ until 1980. 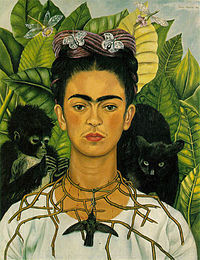 Today, her stature as an artist and icon is at a level unprecedented for any Mexican figure, male or female. This entry was posted in Art, Museum & Gallery Exhibits and tagged Alfred Stieglitz, Diego Rivera, Emily Carr, Frida Kahlo, Georgia O'Keeffe, Haida Gwaii, New Mexico, Skeena River, Stieglitz, United States, Vancouver Art Gallery.